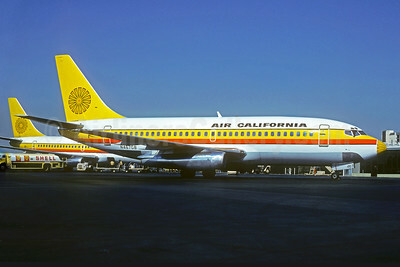 (OC/ACL) (Orange County) 1967 - 1981 (Air California), 1981 - 1987 (AirCal) (acquired by AMR Corporation and merged into American Airlines). Photos. Framable Color Prints and Posters. Digital Sharp Images. Aviation Gifts. Slide Shows. 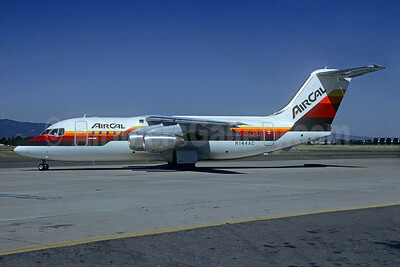 AirCal BAe 146-200 N144AC (msn E2054) (Christian Volpati Collection). Image: 930174. 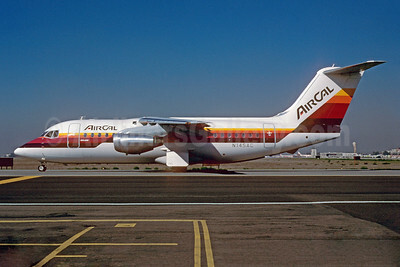 AirCal BAe 146-200 N145AC (msn E2055) SJC (Thomas Livesey). Image: 906573. 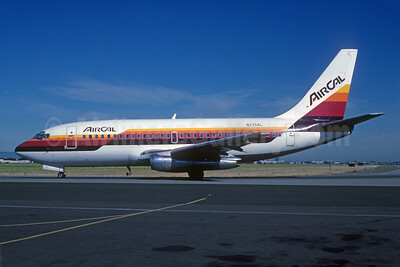 AirCal Boeing 737-3A4 N307AC (msn 23251) SFO (Seymour A. Hills - Christian Volpati Collection). Image: 931456. 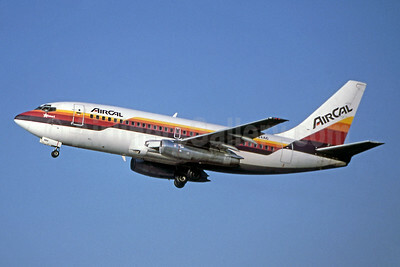 AirCal Boeing 737-3A4 N308AC (msn 23252) OAK (Bruce Drum). Image: 102068. 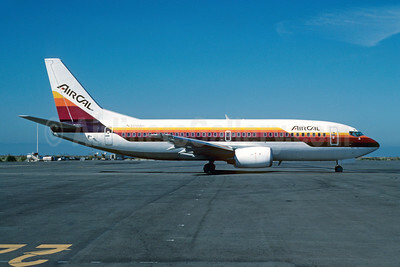 AirCal Boeing 737-247 (msn 19614) SJC (Rob Rindt Collection). Image: 936155. 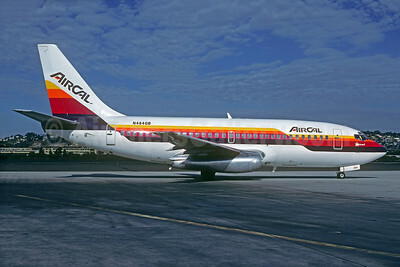 AirCal Boeing 737-293 N464AC (msn 19309) LAX (Ron Monroe). Image: 944186. AirCal Boeing 737-293 N464AC (msn 19309) SEA (Bruce Drum). Image: 102066. 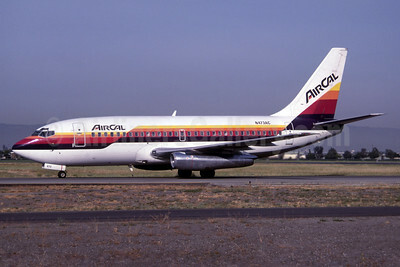 AirCal Boeing 737-293 N464GB (msn 19309) LGB (Christian Volpati Collection). Image: 929777. 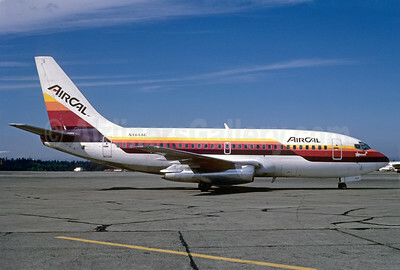 AirCal Boeing 737-297 N725AL (msn 22051) SJC (Bruce Drum). Image: 102067. 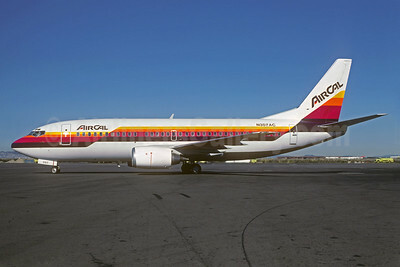 Air California Boeing 737-159 N472GB (msn 19679) MIA (Bruce Drum). Image: 102064. 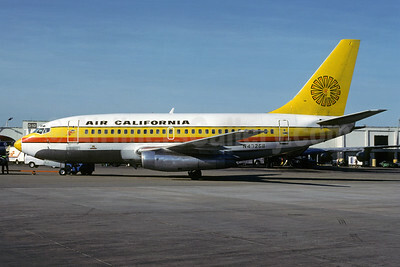 Air California Boeing 737-222 N73714 (msn 19072) (Aloha colors) LAX (Ron Monroe). Image: 944185. 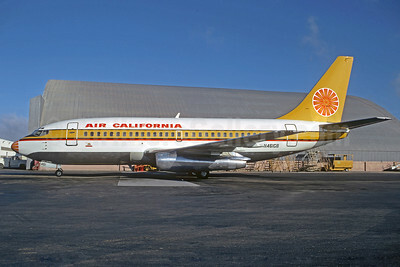 Air California Boeing 737-222 N73714 (msn 19072) (Aloha colors) MRY (Fernandez Imaging Collection). Image: 904529. 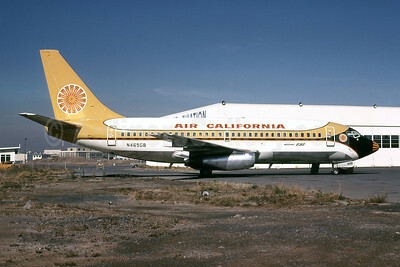 Air California Boeing 737-293 N461GB (msn 19306) SFO (Jacques Guillem Collection). Image: 921714. 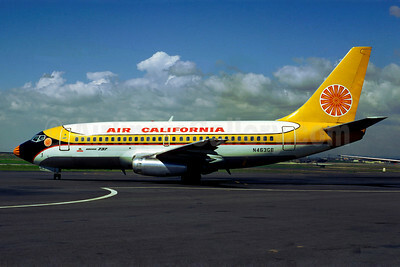 Air California Boeing 737-293 N463GB (msn 19308) (Jacques Guillem Collection). Image: 904939. 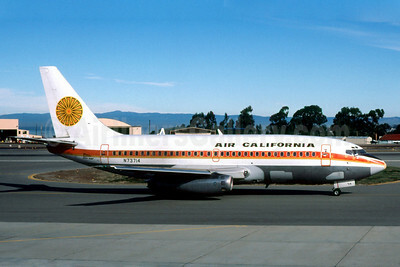 Air California Boeing 737-293 N465GB (msn 19713) SFO (Jay L. Sherlock - Bruce Drum Collection). Image: 102065. 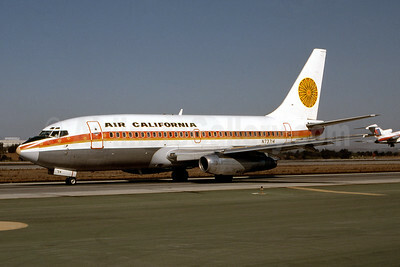 Air California Boeing 737-293 N467GB (msn 19714) SNA (Christian Volpati Collection). Image: 931455. 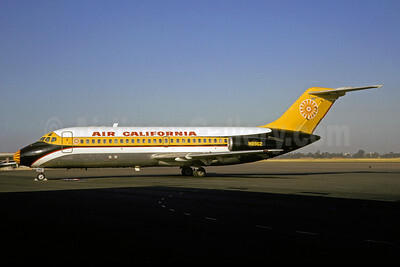 Air California Douglas DC-9-14 N8962 (msn 45843) (Jacques Guillem Collection). Image: 904738. 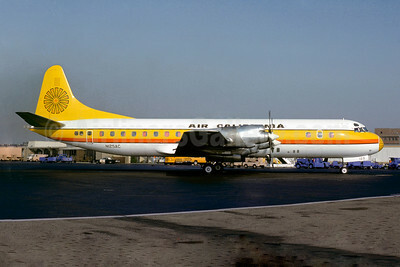 Air California Lockheed 188A Electra N124AC (msn 1114) MIA (Bruce Drum). Image: 101997. 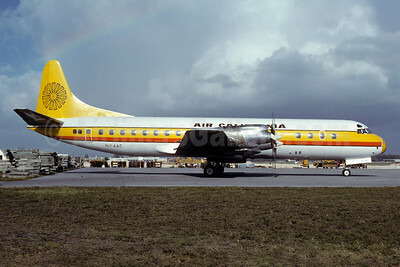 Air California Lockheed 188A Electra N125AC (msn 1006) (Jacques Guillem Collection). Image: 922714. 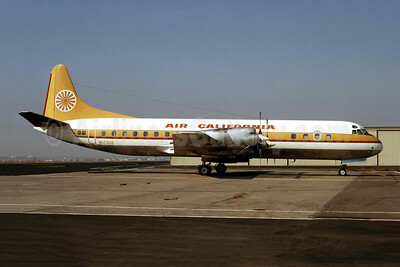 Air California Lockheed 188C Electra N123US (msn 1082) SNA (Ron Monroe). Image: 944184. 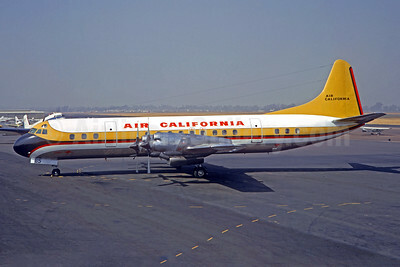 Air California Lockheed 188C Electra VH-ECB (N385AC) (msn 2004) SNA (Jacques Guillem Collection). Image: 932090. 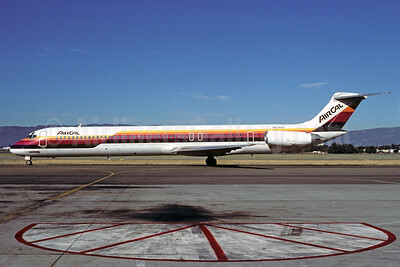 AirCal McDonnell Douglas DC-9-82 (MD-82) N478AC (msn 48063) (Stephen Tornblom Collection). Image: 932620. 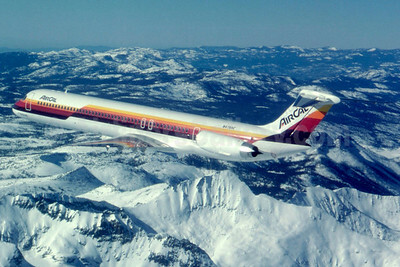 AirCal McDonnell Douglas DC-9-82 (MD-82) N478AC (msn 48063) OAK (Bruce Drum). Image: 102069.